How to Convert Docx to PDF? / How to Convert Word 2003/2000 to PDF? 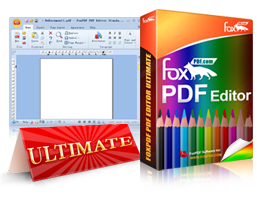 FoxPDF PDF Editor can edit not only PDF and Word documents, but also able to convert Word 2003/2000/97 (Doc) to a PDF file as shown below, this hope for your help.